61% of the UK’s workforce are disengaged. This combination of absence, employee turnover and retraining costs UK businesses a staggering £340bn a year. The solution? Improve the employee experience. The EX is the result of every interaction your people have with your company – from on-boarding through to L&D. Just as marketers support the customer experience, people managers have a golden opportunity to nurture the EX. 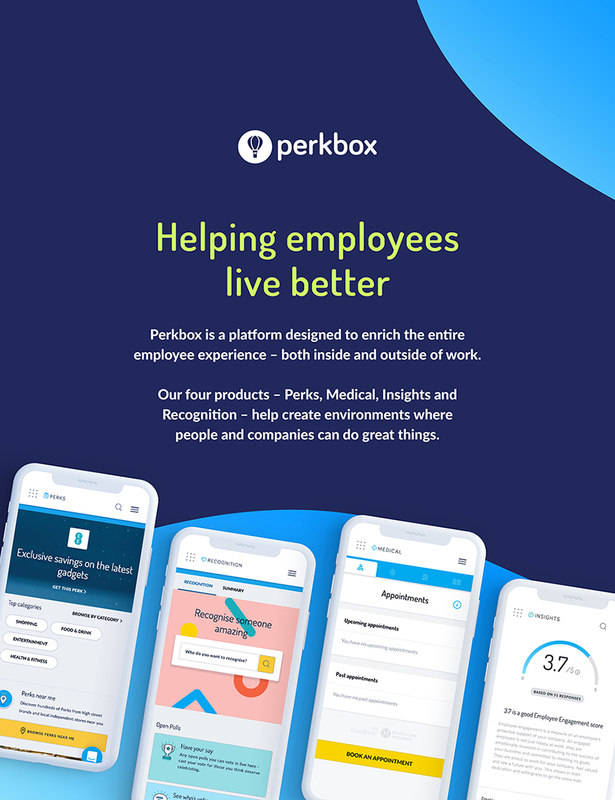 That’s where Perkbox comes in. Our perks support your team’s financial, emotional and physical wellbeing, and help their pay cheques go so much further. Whether its freebies and discounts to surprise and delight or salary stretching schemes on life's essentials - with perks you can boost employee wellbeing whilst attracting and locking in top talent.